The most popular school program that the Stokes Nature Center offers is a geology lesson for second grade. I’m not sure what happens between second grade and adulthood to make our general perception of geology go from exciting to boring, but you would be amazed at how excited second graders get over rocks, and especially, over fossils. Fossils are really quite rare – a very specific set of conditions have to be met in order to create one. Most living things decompose fairly rapidly upon death, leaving no trace of their existence behind. 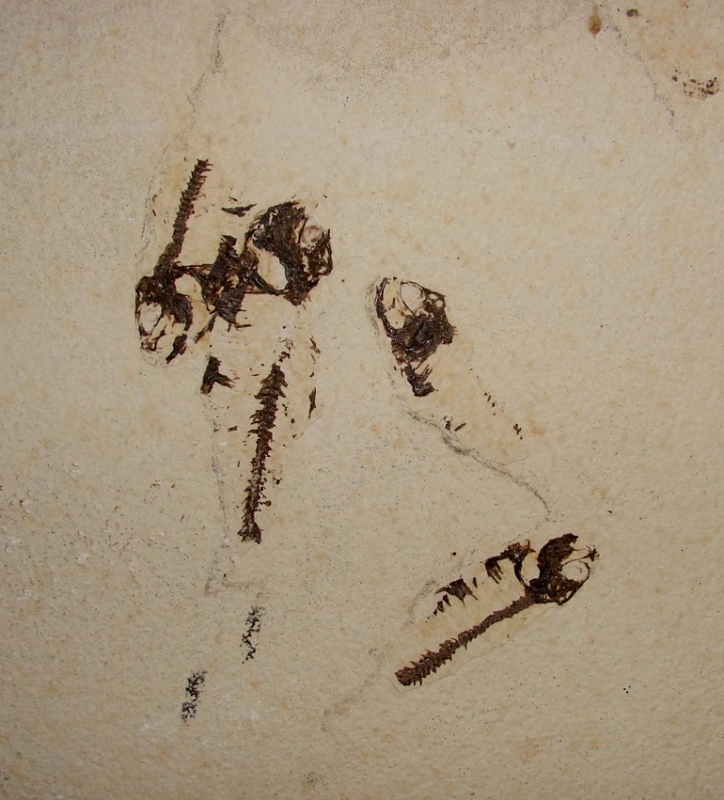 In order to create a fossil, this process of decomposition needs to be halted fairly rapidly, which typically means that the body is quickly covered by some kind of sediment – like sand, or soil or mud. 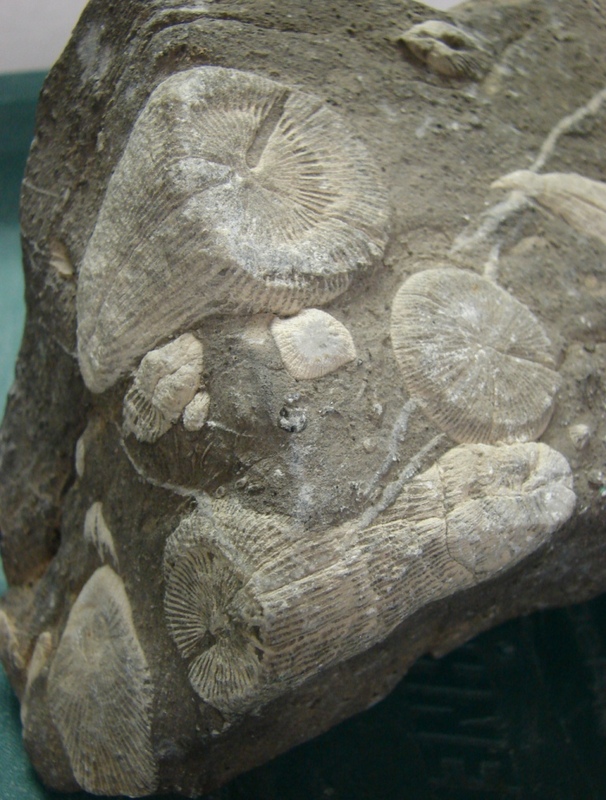 For this reason, most fossils are found embedded in sedimentary rock. If pressure and moisture levels are just right, over the course of millions of years the organism’s molecules will slowly be replaced by minerals from the surrounding sediments – eventually turning bone into stone. Only somewhere around one in a billion bones will make it through this process. From there the fossil has to remain intact and identifiable through eons of tectonic plate movement, earthquakes, and mountain uplift. Then, in order to be found it has to be located near enough to the earth’s surface, and in such a place where a human might come across it. 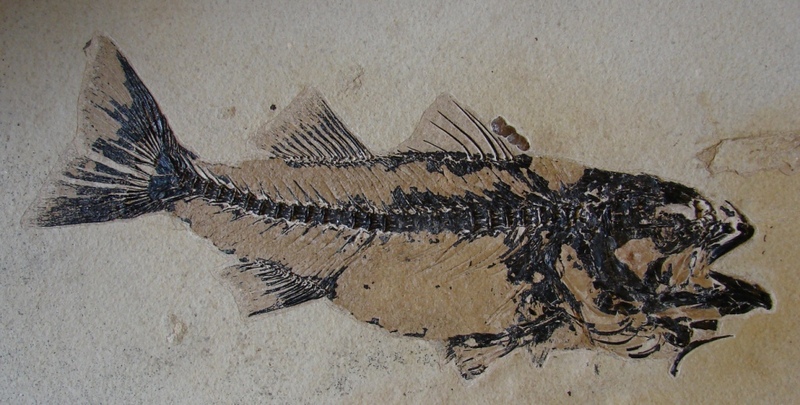 Some geologists estimate that only 1 in 10,000 species that have ever lived have made it into the known fossil record, which makes me wonder what discoveries still await us. Fortunately for us, prehistoric Utah was a place where fossilization happened with some regularity, as evidenced by places like Dinosaur National Monument and the Escalante Petrified Forest. 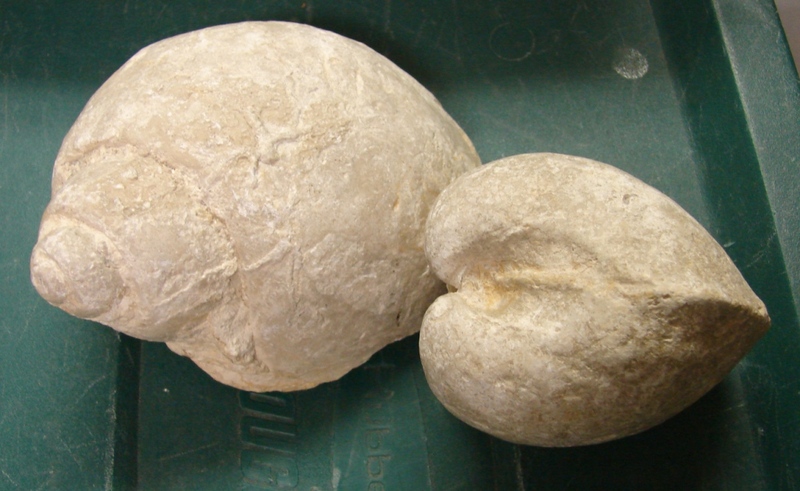 Did you know that Utah has a state fossil? That distinction goes to the allosaurus, a predatory dinosaur that thrived during the Late Jurassic period. Numerous skeletons found in east-central Utah range in size from 10 – 40 feet in length, meaning this fearsome creature may have rivaled it’s more famous cousin Tyrannosaurus Rex for top predator status. With such a rich fossil history, it’s not out of the question that you might stumble onto something truly amazing during a routine hike. Can you keep your find? Well, that depends on two things: the type of fossil, and whose land it was found on. 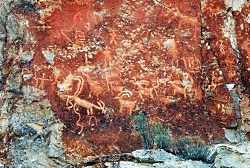 On public lands in Utah, fossils of vertebrates cannot be collected, while fossils of invertebrates and plants can be. Private land owners have full rights to the fossils found on their property. 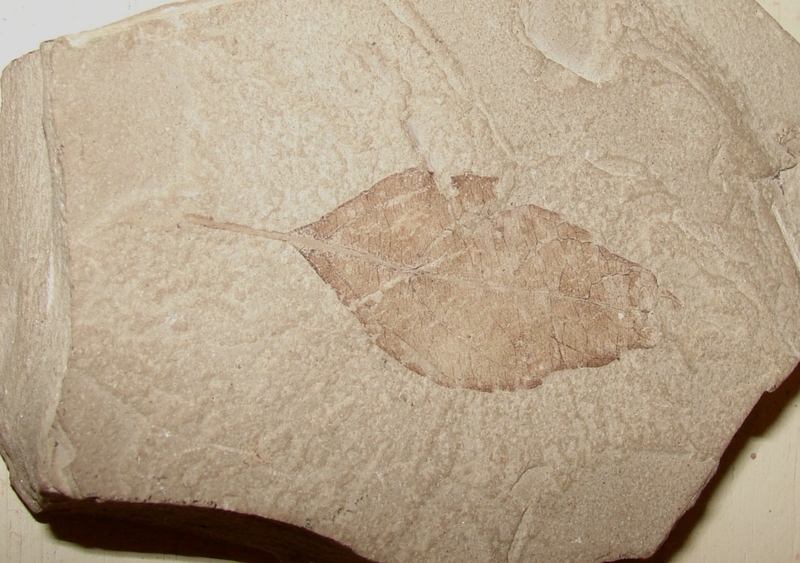 With all fossils, it’s a great idea to report your find to the US Geological Survey so that your discovery can be documented for public or scientific research, display or education. Fossil creation is an incredible phenomenon that has allowed us to glimpse the earth’s history in ways that would otherwise be completely hidden. Thanks to fossils, we can envision a prehistoric landscape filled with giant ferns, enormous dragonflies, long-necked allosauruses, and flying pterodactyls. Without the evidence in the fossil record, I doubt that even the most imaginative person among us could have envisioned such an amazing array of life. Antelope Island, Great Salt Lake, Utah. Hi, I’m Ru Mahoney with Stokes Nature Center in Logan Canyon. As winter approaches I find myself anticipating the first really good snow, when our valley floors and mountain passes will be transformed overnight, relinquishing autumn’s riot of color for a glacial monochrome. As little as 12,000 years ago winter white was Utah’s perennial favorite, donned at the launch of the Pleistocene Epoch, a roughly 2 million year long period (give or take 10,000 years) marked by widely recurring glaciations. The west has a reputation for being vast, but Ice Age Utah was even bigger. The mountains where higher and sharper. And the Great Salt Lake was submerged beneath the glacial waters of Lake Bonneville. At its largest, this massive body of water covered 20,000 square miles and was more than 980 feet deep. To put that into perspective, that measures about 9.5 million football fields wide by 4.5 Salt Lake Temples deep. And the Ice Age wildlife? Well it was much more akin to an African safari than anything you’re likely to find on your favorite shoreline trail these days. The megafauna of Pleistocene Utah included a menagerie of beasts that are the stuff of legend. Familiar species like bison and big-horn sheep grazed among herds of mammoths and mastodons. Camels and horses – destined for extinction in North America – were the prehistoric prey of dire wolves and saber-toothed cats. Giant ground sloths the size of modern day elephants stood on two powerful hind legs to browse on shoreline foliage. And herds of muskoxen kept a wary eye on Arctodus, the Short-faced bear, a formidable predator more than 50% larger than any bear species living today. The last 30,000 years of Utah’s Ice Age were characterized by increasingly volatile shifts in climate. The changing norms in temperature and abundance of liquid water created cyclical periods of transitioning habitat. Forests and forest dwellers gave way to deserts and their specialist species, before shifting back to forests again, all in mere millennia. While nomadic and highly adaptable species like muskoxen eventually moved north to more stable climates, the less adaptable fauna of the Ice Age were increasingly relegated to sharing shoreline habitat diminished by the swollen banks of Lake Bonneville. As fluctuating glaciers pushed southward and then retreated, canyons like Big and Little Cottonwood were gouged into existence. Spring and summer glacier melt carried an abundance of freshwater into the lake, sometimes sweeping along with it the remains of prehistoric animals that had not lasted through the winter, laying them to rest in shoreline deltas where their fossilized remains are now uncovered and studied in alluvial sediment. For many of Utah’s Ice Age animals, the end of the Pleistocene brought extinction. 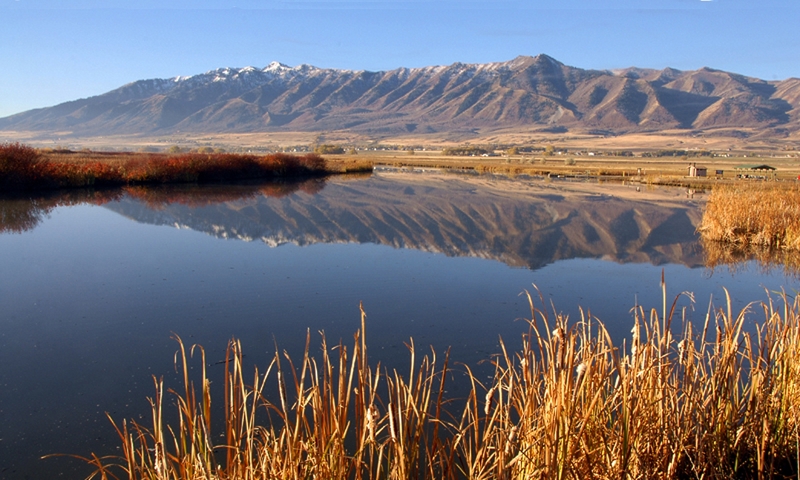 Today the ancient shoreline of Lake Bonneville is one of the most distinguishable geological features along the Wasatch front. This “bench”, as it’s now commonly known, is easily identifiable in cities all along the Wasatch and frequently boasts fine homes and even finer views. Which might go to show that lakeside property retains its value whether the lake is still there or not. So as you enjoy a winter hike or cross country ski along a shoreline trail this season, think about Utah’s last Ice Age and how our rich fossil record, with some of earth’s largest land mammals, paints a picture of an even wilder west. Deserts are dry by definition receiving an average of less than 10 inches of precipitation a year. In Utah’s cold West Desert, this skimpy amount of moisture slakes the thirst of sagebrush, saltbush or greasewood, but not much else. However, just like the Sahara, the West Desert has its oases. In certain lowland valleys you’ll find complexes of pools and marshes. There isn’t enough rain to form these freshwater sanctuaries. The water comes from giant underground aquifers. 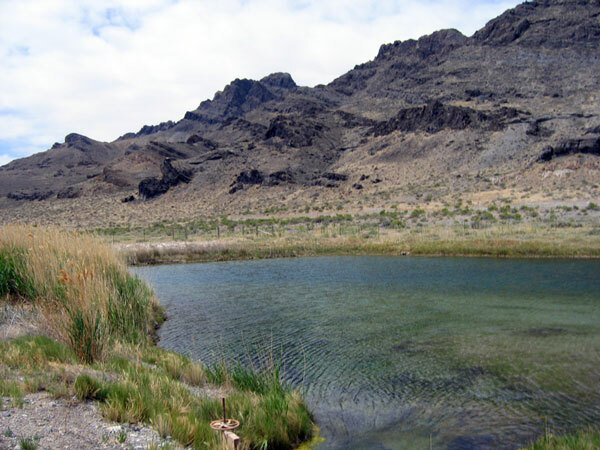 Underneath the West Desert, the aquifer system acts as a storehouse for runoff from the surrounding mountains. As rainwater or snow melt enters or “recharges” the aquifer system, water pressure can build up in some areas. This pressure moves water through cracks and tunnels within the aquifer, and sometimes this water flows out naturally in the form of springs. 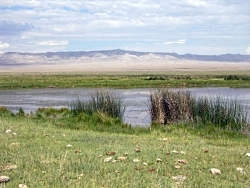 These desert springs–and the resulting pools and marshes–permit concentrations of animals and plants not possible under normal desert conditions. You’ll find sedges, rushes cattails and many other wetland plants. Both migratory and year round birds congregate here. There are even a couple of frog species—the Colombian spotted frog and the northern leopard frog. 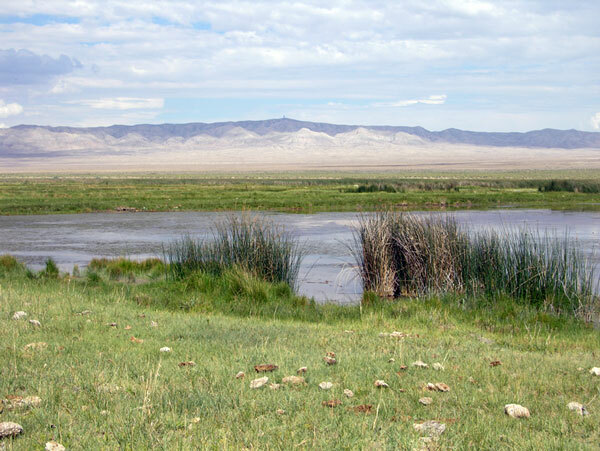 But most remarkable are the desert spring residents that have survived from the days when the West Desert formed the floor of giant Lake Bonneville. Surveys have revealed a number of relict snails and other mollusks that still persist from that time. Some, like the Black Canyon Pyrg exist at a single spring complex only; they are found nowhere else on earth. Certain native fish were also left high and dry by Lake Bonneville’s recession. The least chub is a good example. 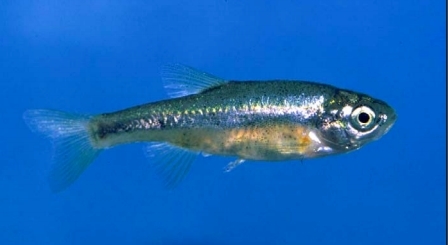 Now the sole member of its genus, this 3-inch long survivor is an unassuming but attractive little minnow. It is olive-colored on top and sports a gold strip on its steel-blue sides. It swims in dense but orderly schools in either flowing or still water. It can withstand both temperature variations and high salinity. The ability to tolerate different physical conditions has undoubtedly helped the least chub survive the post-Lake Bonneville millennium. Even so, the least chub was hanging on in only six different locations until Utah’s Division of Wildlife Resources reintroduced it to several more sites within its historic range. The Division and its conservation partners are still working to reduce threats to the least chub, to other spring residents and to the spring habitats themselves. 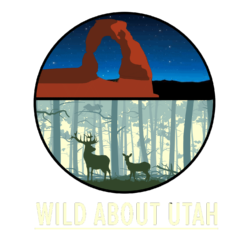 Thanks to Chris Keleher of Utah’s Department of Natural Resources for his help in developing this Wild About Utah story.